Except for those who choose not to face reality (and perhaps are ignoring some other realisms staring them in the face), climate change is taking place right now, and as each season and year passes, more signs seem to be made of its build-up to the inevitable that is quickly approaching in our near future. In Climate Changed, French author and artist Philippe Squarzoni seeks to educate not just the reader on the happenings of climate change, but also himself. 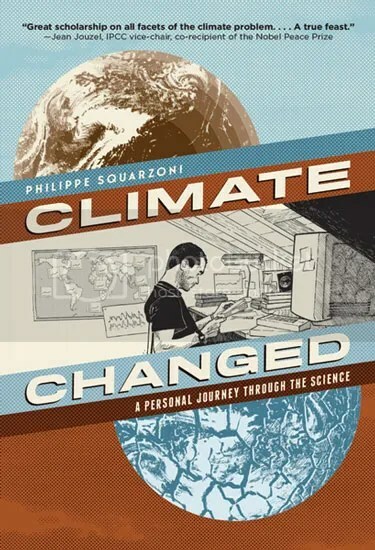 Climate Changed is partly a graphic novel of science and partly one of philosophy, as Squarzoni begins his tale with what a beginning really is, exploring the idea as himself in his own story, trying to decide where to begin to talk about climate change. As he gets started in this important story, he combines the facts with understanding and how he deals with them. There’s the juxtaposition of what scientists and experts are saying, as well as what the graphs and charts show to be an ongoing reality with Squarzoni in his own life agreeing to do various jobs and projects and then assessing the climactic affect he alone will have in doing said jobs. Climate Changed is a sobering read, as it should be. It paints a bleak picture, because the future is now looking pretty bleak. Climate change is a reality and is happening right now and will continue to get worse as the years pass. It’s a fact. Not enough people are doing anything to really change it, and until we start having serious changes, such as water levels rising and forcing millions of people to leave their homes and move to higher ground; then changes will start to be made, but by then it will be too late. As for the ending, there is no quick fix or easy solution. It’s already too late for that and it’s getting worse by the year. Right now it will take centuries for the world to return to how it was during pre-industrial times. Squarzoni spends the book showing the facts, but also grappling with his own personal demons over this. And at this point, that is what it has become a question of: not what can we do to stop climate change, because it’s already too late, but how do we live with ourselves, and what do we tell our children and grandchildren who are going to experience its effects far worse than us. 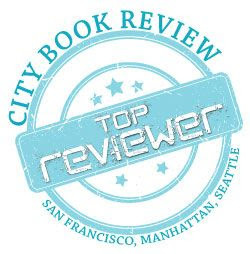 To purchase a copy of Climate Changed from Bookshop Santa Cruz, and help support BookBanter, click HERE.